I’m always on the lookout for tools that can support creativity, be practical for classroom use and use our Chromebooks. 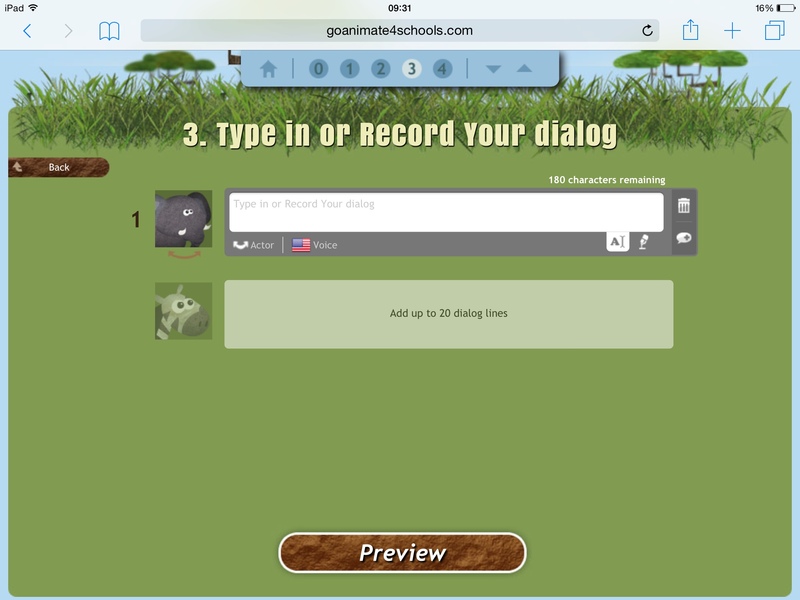 Go Animate was shared with me via twitter and it has proven incredibly useful! The online package provides all the tools needed to create simple animated video that can then be shared. You are given a variety of tools to add voice, customize your characters and to be as complex as you like. We also have iPads, and whilst you can access some of the features on the iPad, it uses Flash and so you can’t really produce a finished product. However the online environment means that children can access it anywhere. A quick look at their blog gives some great examples. You can get a feel for how the finished product will look. The environment, once logged in, is easy to use and intuitive. For our first session I just let our Digital Leaders play with it and then give me their thoughts. They were enthusiastic and very keen to keep going. 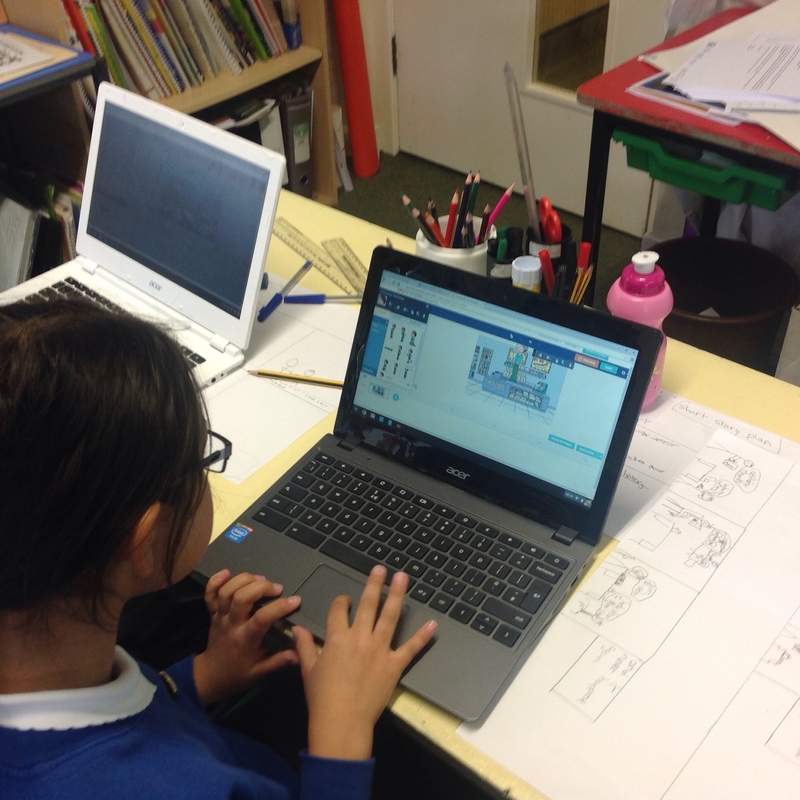 Digital Leaders are a standard way for us to introduce new software, the idea being that they get to grips with it and then can show the other children. Needless to say they picked it up immediately, it was all very familiar to them and they really enjoyed the cartoon style. All of the controls, were available within a couple of clicks and the icons, instructions used were straightforward. It created a kind of stop motion type effect, which the children could easily improve uponwith practice. Dialogue could be typed in and then either recorded or voiced by the computer. Moving into whole class use then was simple, I used it for our look at ‘bullying’ and the children had planned a simple storyboard. I stressed that they were to use a more simple approach to story telling and they created a plan to animate. They were then able to turn this into a simple movie. The topics that we have looked at so far include the bullying movie and a look at the water cycle – and there were adequate resources on the site for this. No doubt there could be some improvements in characters available, but we haven’t fully investigated the whole customisation process yet. Management of the system is also easy – as a teacher I can change passwords, set up groups (for collaboration!) and then view all video that has been created. I set up the initial lot of passwords manually, but you can also input files. I also put the link on our Google Classroom Stream, which meant the pupils could also access from home. Which they have done! I should point out that I took part in a free trial for this review – however I will be subscribing! If interested I will add some of the videos to this review later, alongside the children’s comments! Posted by RS on May 16, 2015 in Apps, Digital Library, Teaching and Learning and tagged app.